Let this be a cautionary tale - if you are investing in expensive veneers, better not buy them online. 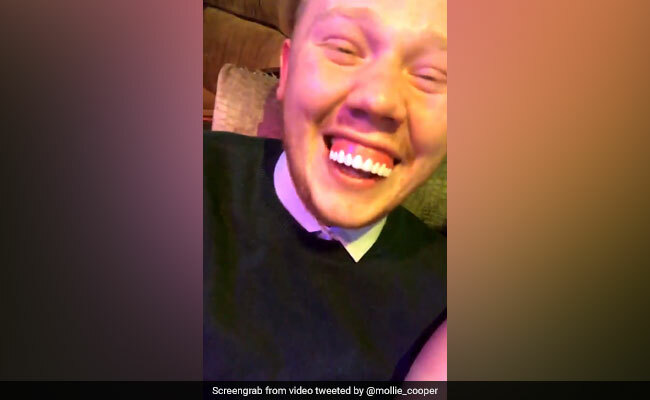 A UK student learned this the hard way when he purchased veneers for 42 pounds (approximately Rs 3,600) from an e-commerce website but received instead a set of ill-fitting, clownish gnashers. Ben Watson from Halifax, West Yorkshire, sent off a mould of his teeth to an online firm, reports the Mirror. Instead, he received a comically ill-fitting set of teeth that made him 'burst into tears' as he opened the package. "I actually burst into tears and not just in a laughter way but more for the decrease in my bank balance," he said to the Mirror. "Last time I buy anything online ever," jokes Ben on Twitter. According to the Daily Mail, Ben Watson has now become a minor celebrity in his hometown where people even stop him to take pictures of him with his new teeth in.